Fit Kids for Life! | A Lifestyle Wellness Program Designed for Children and their Families. 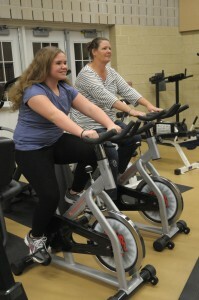 A Lifestyle Wellness Program Designed for Children and their Families. by smartino on September 7, 2018 . Anyone interested in signing up for the Spring program should call (631)-444-KIDS and asked to have their child screened by one of the Fit Kids physicians. The lifestyle modification program “Fit KidsFor Life” needs volunteers to help teach and motivate children and families to engage in a healthy lifestyle! Serving as a student volunteer is a great way to get involved with the community, meet lots of people, and help out in a big way. FIT KIDS FOR LIFE TRAINER!! Orientation and training provided! Great opportunity to meet students from other disciplines!! The program is offered each semester and is held on Monday and Wednesday evenings from 6:30-8:30 pm. Classes are held at Ward Melville High School, conveniently located ~ 6 miles from Stony Brook Campus. Please consider getting involved! You can meet other students, learn about health and wellness, participate in exercise and stress reduction, and make a big difference in the lives of local children and families. by Shabana.Humayon@stonybrook.edu on January 21, 2015 . Welcome to Fit Families for Life! We are committed to provided you and your family with a safe, fun, and scientifically proven approach to developing a healthier lifestyle! Why Fit Kids for Life? Physical inactivity is a major risk factor for developing heart disease, obesity, high blood pressure, low HDL (“good”) cholesterol and diabetes and can lead to stroke and certain cancers. The American Heart Association recommends that individuals participate in at least 60 minutes of moderate to vigorous physical activity every day. Obesity constitutes a major health problem affecting children, adolescents and adults – and an increasing number of families. Dietary and physical activity are influenced by many sectors of society including schools, child care settings, medical care providers, faith-based institutions, the media, food and beverage industries and the entertainment industries. Disturbingly, children who have parents who are obese have a greater than 70% chance of being obese as adults. The team at Fit Families for life is as concerned as many of you about the growing problem of childhood and adult obesity and the lack of physical activity that many of us experience. How did we become so inactive? Many of us see exercise as work, boring, and just too hard! Increased availability and use of technology (24 TV, computers, video games) has made us a sedentary society! What are some benefits of physical activity? Improved psychological well-being, including increased self-confidence and higher self-esteem. Fortunately, there are ways of reversing this growing trend and helping our children and families to enjoy healthy nutrition, daily exercise and outdoor activities. The Fit Families for Life program is geared towards parents and children, and focuses on creative ways to incorporate exercise, healthy nutrition and stress reduction into our everyday routine. Together, as a family, you will learn strategies for making you a stronger, healthier and happier family! Welcome to Fit Kids for Life! by Diana Voss on May 1, 2014 . Do you want your child to learn how to be fit, healthy and active? Do you want your family to learn about healthy habits for life? Do you want to be part of the program that inspires healthy eating, exercise and fitness as part of your family’s daily life routine? Then you are welcome to join the Fit Kids for Life program. This is a program that provides a platform for you and your family to move towards a healthier lifestyle. Through a meaningful partnership between a pediatric cardiologist, physical therapist, registered dietitian, yoga instructors, and various health and medical student volunteers, our program can help you achieve your goal of a healthy family.